Even though there is a month left in the season, the general manager search is ramping up in Anaheim. With so many reports and whispers about how undesirable the position is throughout the league, the Halos are wise to start early, but they are going to have to cast a wide net. As such, here is a lengthy list of potential Angels general manager candidates that the team might consider. The only reason for the Angels to keep the GM job in house is that Dipoto set up an entirely new front office when he came in. While not everything Dipoto did worked out, there is little doubt that he put the farm system back on track after it fell into disrepair under the Reagins regime. By keeping things in house, the Angels get the benefit of continuity whereas an external candidate might decide to blow the whole thing up. OK, maybe it isn’t the only reason. They might just have to hire from within because nobody outside the organization wants the job and the internal candidates don’t realize just how toxic their work environment is. Kind of like how I managed to work at Amazon for four years and didn’t realize just how terrible a place to work it was until I left the company a few months ago. He’s easily the leader in the clubhouse right now, but the field is pretty small. Klentak fits the mold of the new GM: a young guy from an Ivy League school who is well-versed in analytics. He was Dipoto’s right-hand man but allegedly gets along fine with Scioscia, so maybe he won’t be seen as guilty by association. That being said, Klentak will be a hot name on the market, especially in Philadelphia where he could work as GM under his old boss Andy MacPhail. He wouldn’t be the top dog in either spot, so it is really about him deciding whether he wants to join a rebuilding Phillies team or stay in Anaheim and try and prevent them from becoming the new Phillies. Let’s get this out of the way- there’s no way Servais is going to be the new GM. The whole Dipoto-Scioscia tension started because Servais pissed Scioscia off so badly. Even if the “power hungry Scioscia” rumors are overblown, Servais is one guy guaranteed to have issues with Scioscia going forward and the franchise has to get away from anything resembling the discord of the last few seasons. In fact, despite Servais’s excellent work in the Angels front office, I can’t foresee any scenario in which he remains part of the organization after this season ends. He only got an interview as a courtesy. He hasn’t gotten much mention as an internal candidate, but he did get interviewed for the Arizona opening last winter. Hal is a former player and currently the director of pro scouting, so he has the look of a more traditional GM type. His profile as a GM prospect is also probably low enough that he wouldn’t think twice about taking a position where he’d only be doing the bidding of Scioscia. This isn’t a joke. Correction, this mostly isn’t a joke. 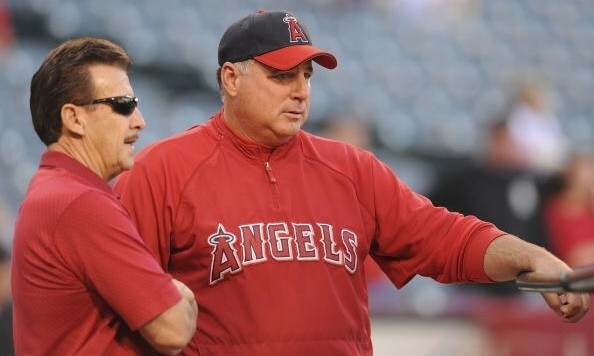 All the jokes in the world are being made (and will be made throughout this post) about how Scioscia is really the GM, so what if Arte actually just quit the charade and named Scioscia the GM/Manager? Don’t get me wrong, this is a colossally bad idea, but it is basically what everyone assumes to be the case anyway, so why not steer into the skid? At least this way everyone knows exactly what the power structure in the organization is. The following candidates won’t even need to interview with the Angels. Instead, they’ll just visit a tailor who will take measurements of their rectal cavity to see if Scioscia’s hand will fit well up there. The Black rumors started before Dipoto ever even finished packing up his office since Mike and Bud are so close and worked well together previously. However, reports suggest Bud wants to manage, not run a front office, so he might not be interested or at least will want to see how the managerial market shakes out before agreeing to be GM. Frankly, I think that if it hasn’t happened already, it isn’t going to happen. In fact, there are unsourced reports that Black already turned the offer down, at least for now. The former Dodgers GM has been on the periphery of GM hiring pools for the last few years and currently does some work for the Jays while also serving as a consultant and media personality. He’s exactly the sort of guy Moreno might like since he has plenty of experience but just the right amount of desperation to get another kick at the can that he’d gladly sign on to just take marching orders from Scioscia and Moreno. Wren was a scapegoat in Atlanta and now is having his name tossed around in Boston where he’d have to work under Dave Dombrowski and inherit manager John Farrell. Well, in Anaheim Wren would still inherit an entrenched manager but he’d report only to the owner, so maybe that’s an upgrade? Either way, he’s been the patsy before and played the role well, so I can see where there is such interest in him. Melvin spent a long time in Milwaukee and had a lot of success, but he was recently moved into a “consultative role.” He can continue to hang out in Wisconsin and collect a paycheck, but if he desperately wants to get back to a gig where he has at least some influence, Anaheim could hold some appeal. This is my big sleeper. Beinfest was GM of the Marlins until 2013 and actually did a pretty dang good job building that ballclub up and he did it under Jeffrey Loria. That is no easy task. He’s eager to get back into a front office, so he probably won’t turn his nose up at the Halos. In fact, working for Arte Moreno might seem like a vacation compared to Loria. Hiring a young, first-time GM hasn’t really worked out for Moreno despite him taking two shots at it, but maybe the third time is the charm? This crop of candidates will be in high demand by the other teams, but they will also be the sort of candidates who might just want to be GM of a team and not worry so much about the organizational chaos. Plus, the Angels can always just dangle Mike Trout in front of them. The one big wrinkle with most of these guys is that the Angels want to make a hire quickly and most of these candidates are currently employed by contending teams who might not be keen on letting guys head out on interviews in the middle of a playoff race. Eppler has been a “top up and coming GM candidate” for so long that he originally was one of the finalists when the Angels hired Dipoto. Obviously the Angels liked him well enough, so he’s certain to get a long look again this time around and there are already lots of rumblings that he’s on their short list if they look outside the organization. He’s also been on the cusp of being hired as a GM with so many clubs that he might just be desperate enough to take this gig. Just like Eppler, Oppenheimer comes from the Yankees and was considered for the Angels GM job during their last hiring round. 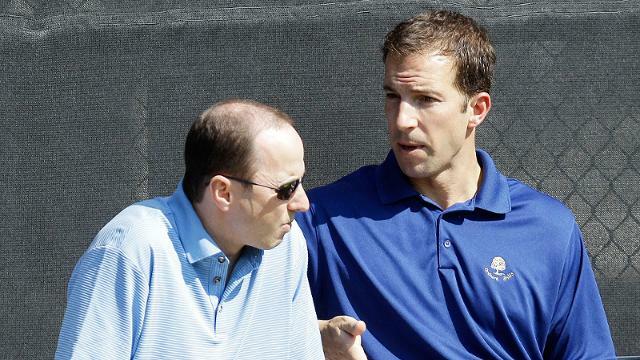 Oppenheimer actually isn’t that young, but he’s a highly respected scouting guy. He may not want to wait around for a better offer to come along. He’s one of the few guys on this list that isn’t going to be looked at as a “stats guy” of some degree, so that could appeal to Scioscia. Say hello to the belle of the GM hiring ball. The industry has always been hot and bothered to hire the progeny of Theo Epstein and McLeod is up next on that list. He’s going to get a ton of attention now that the Cubs are finally blossoming, so he’ll likely have his pick of landing spots. It is doubtful that the Angels are going to be the most attractive match. Another guy who has been through the GM hiring loop a few times but not yet gotten an offer. Levine remains a well-respected name but he’s now seen a guy who was underneath him in Texas get a GM gig instead of him (A.J. Preller in San Diego). Despite his lack of GM offers, he probably doesn’t fit the mold as an up and comer eager to get a shot as there are persistent rumors that the Rangers will kick Jon Daniels into a team president type role and hand the GM reins over to Levine. With that in his back pocket, Levine can be picky about potential destinations. Chernoff is in a similar position to Levine. With team president Mark Shapiro jumping ship to Toronto, there is an opportunity for everyone in the Cleveland front office to move up a seat, which would put Chernoff into the GM spot. He’s already shown that he’s going to be discerning about where he interviews as he declined to even talk to San Diego last year. Given the stat-centric nature of the Cleveland front office, I would be shocked if Chernoff bothered taking a call from Moreno, much less accepted an interview invite. I don’t know much about Picollo, but he is the AGM for the scouting-heavy Royals and is in charge of scouting and player development. Now that the Royals are a hot franchise, it makes sense that their front office would start to get plundered, this despite the fact that Dayton Moore was on the verge of losing his job just two years ago. That’s a nice way of saying that I don’t know if Picollo is actually a strong candidate or just a trendy one. White was a popular GM target for a longtime as he unearthed a bunch of talent for the Dodgers, but he also hasn’t gotten much of a shot at a real GM job. 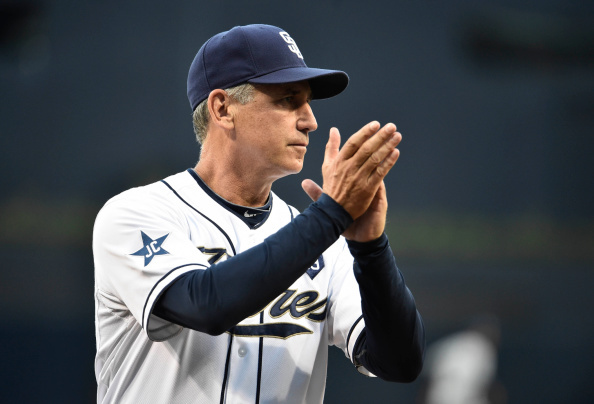 He’s since left the Dodgers for the Padres, so his star is starting to fade, which might make him the right amount of desperate to join a toxic organization, which he should be familiar with since he did survive the McCourt years. Another former Dodger front office member, Ng now works for MLB. It has been awhile since she’s been seriously considered to run a MLB front office, but that might be why she ends up on Moreno’s radar. She is just as qualified as everyone else here, but if Moreno is going to hire a GM that is something of a figurehead, I wouldn’t put it beyond him to kill two birds with one stone and make a diversity hire here. Being the owner that hired the first female GM in pro sports would go a long way towards getting the media off Arte’s back, not that Arte and the Angels have shown even a modicum of ability to manage their PR this year. I’m not advocating a diversity hire or trying to denigrate Ng here, I’m simply pointing out that I can foresee a situation where Moreno sees that as an additional benefit that she provides over all the other candidates. These are all guys who somehow have managed to remain in the hiring pool despite abysmal track records and/or having shown themselves to be complete and utter dolts in the media. In other words, they might be too dumb to realize what a bad situation Anaheim is and Moreno and Scioscia might be too dumb to realize how dumb these candidates are. There’s a lot of dumb going on in this section. It has been a long time since Bowden was a good GM, and yes, he was a good GM once. He has since moved to ESPN to be a “columnist” and TV talking head where he routinely has proven himself to be an unrelenting moron. He proposes trades that even 13-year message board trolls think are dumb and embarrassed himself when he preached the importance of OPSBIs. I wouldn’t even wish Bowden on the worst of my enemies. 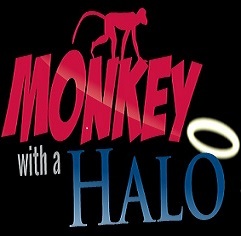 The mere idea of him taking over the Angels keeps me up at night. Long, long ago Minaya ran the Mets into the ground. His tenure with the Mets was one of the worst GM tenures in recent memory. He’s still a respected baseball ops guy though, which is why he remains near the top of the Padres organizational ladder. Omar’s biggest mistakes were that he had absolutely no problem mortgaging the team’s future, both in terms of prospects and finances, to make even the most marginal roster upgrade that would help the team win now. In that sense, he was at least well-intentioned. Heck, he might have learned from his mistakes and is now ready for a second chance (well, third, he actually had a brief but solid run with the Expos before they ceased to exist). My biggest concern is that he’d feed into Arte’s demands and burn every last asset he had to please Moreno. Anyone who knows me knows how little I think of what the Rockies front office regime did under O’Dowd knows why he’s on this list. However, he’s another guy who has a ton of experience and would look good on paper as a result. Just don’t look into how poorly the Rockies performed under his reign and how backwards thinking the team was and still is. Seriously, don’t look into it, it will stain your soul. 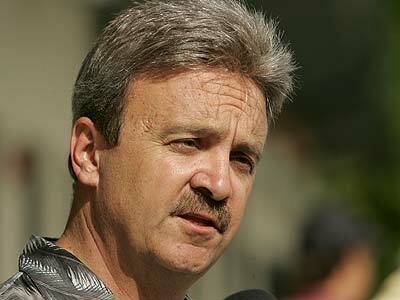 Even longer ago than Minaya, Kevin Towers was actually considered a premium general manager. However, the game passed him by during his recent stint in Arizona where he apparently stopped worrying about things like “talent” and “skill.” He instead focused almost exclusively on compiling a roster of gritty clubhouse guys. Basically, Scioscia would LOVE him. I’m sure the two would conspire to find a way to clone Johnny Giavotella and start the clones in every position except center. I’m terrified that this is going to be Moreno’s choice since he might view hiring an established name like Towers as a coup and a giant middle finger to all the media pundits and “unnamed front office executives” that have been calling the Angels GM gig undesirable and other nasty adjectives. What scares me about this name is that it has been legitimately linked to the Angels already. Colletti did a terrible job with the Dodgers as he showed he’d much rather trade a prospect than even give him a shot at proving themselves in the majors. He also handed out about half of the top ten worst contracts in baseball. He was so short-sighted that he gave Andre Ethier an ill-advised contract extension and ended up trying to dump the contract months later before the extension even kicked in. The real kicker is that Ned didn’t seem to understand why he couldn’t move Ethier. Colletti was also exposed in the media as being horribly out of touch with the game, his players and reality in general. I mean, he’s the only person in the world who thinks he’s fooling anyone with that toupee. This class is actually divided into to two sub-classes. There are the big name GMs that Moreno could pursue to try and make it seem like nothing is rotten in the state of Denmark even though that GM will still be forced to work under the Scioscia-Moreno tyranny. There are also the GM candidates that the Angels could hand the whole organization over to, even if that means firing Scioscia. Neither of these hires are particularly likely, but I’ll let you make your own assessment of which is the least likely. AA was once hailed as a genius when he started in Toronto, but he’s since fallen into a state of constantly being on the verge of getting fired. However, the recent surge by the Jays after he triggered two very big trades has him looking like a genius all over again and you know Moreno is going to love a GM who makes big splashy deals that actually work. 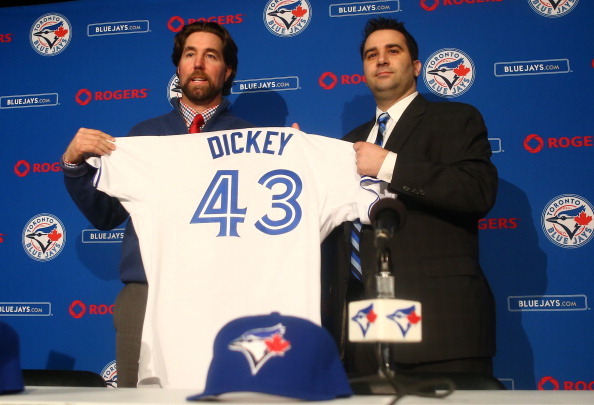 Anthopoulos has a contract through 2016, but he might be tired of the Jays letting him twist in the wind and seeing them hire Mark Shapiro as team president might be seen as something of a slap at him as well. If the Angels can offer Alex more security and power, he could jump ship. However, it won’t be until the postseason is over before such an idea can even be entertained and even then Toronto would have to consent, assuming AA was even interested. I don’t know if he actually qualifies as a “big splash” but Cherington comes from the big market Red Sox and did build them into a World Series contender in 2013. That the Red Sox shoved him out the door so quickly tells you just how much they respected the work he did despite that championship. He wasn’t technically fired, as he left rather than take orders from Dave Dombrowski. I can’t imagine taking orders from Moreno and Scioscia will seem like an upgrade, but it wasn’t like Larry Lucchino and John Henry weren’t always sticking their noses in his business. Maybe Cherington will just be attracted to the idea of new noses? I don’t know how much credence to give this, but there is talk that the Royals could decide to let Dayton Moore pursue other opportunities. His contract runs out after 2016 and now that the Royals are actually good, he might demand a big raise that the notoriously cheap Royals owner might not be willing to grant. Moreno would certainly view Moore as the pro from Dover who is going to come and fix everything. Moore is also more of an old school guy who would certainly jive with Scioscia, freeing him up to order sac bunts even when there are no runners on base.